One size fits most is no longer the case. To be sure you have the best fit possible, don’t guess, measure your noggin’ and be sure. Using a flexible tape measure, position the tape where you want your cap to sit, usually just above the ears, and then measure the circumference of your head keeping it level. Make sure and double check your measurements. 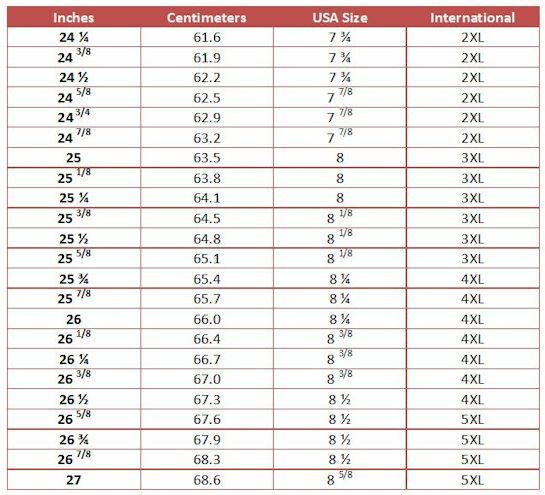 The chart below will show your hat size based on your measurement in either inches or centimeters. 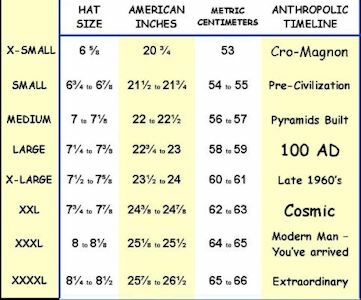 Now that you know your hat size you may still wonder which cap is best for your head. 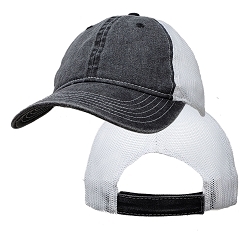 Although all of our adjustable caps fit sizes from 2XL through 4XL if you are more than 25 ¾” or an 8 ¼ we recommend our 4XL Flexfit caps. Flexfit caps have stretch not only in the headband, but across the crown as well making them very comfortable for our most Cranially Endowed Customers. If you are 24 ¼” or a 7 ¾ you may want to start with our adjustable caps. Although the 2XL Flexfit will fit you, its stretch may make the cap feel too loose. All of our caps are not only larger in circumference, the depth and bill size are proportioned for a better fit too. Another factor in the comfort of a cap is whether it is a structured cap or a low profile cap. Structured caps have additional material in the front two panels over the bill. These caps will maintain their shape on their own. They do sit a little away from your forehead. Low Profile caps are also called unstructured or slouch style. The caps do not have any structured or additional material in the front panels of the cap. These caps will “slouch” when laid on a flat surface. These fit a little closer to your head, but are still properly proportioned for our bigger sizes.